We didn’t start a business. We started a friendship, and shared a dream. The QnEZ you know today, wasn’t started as a business. It was started as a friendship, and a common goal/shared dream. A dream to provide a single website to the masses, to build a community that would grow and thrive and become more than we ever thought. As that community grew, and that website thrived we learned a lot of “tricks of the trade”, and acquired a lot of infrastructure, and services that aren’t normally needed for small websites, but become more and more important once your “hobby” website starts to near “enterprise-scale”. So we pooled our expertise, and we pooled our money, and we decided to build a real business. Our business uses the tricks of the trade we learned by growing our own site from something of microscopic size and scale, to an enterprise class offering that spans multiple servers, with redundancy. We’ve learned how to build and configure blazing fast database servers and clusters, and why Percona out performs stock MySQL. We’ve learned how to cluster front-end PHP processing using FastCGI, how to cache the data using Memcached, and how to speed things up even faster by caching the render using Varnish. It doesn’t matter if you are looking for Apache, Lighttpd, Litespeed or ngnix. QnEZ is the shop for you. Hosting, VPS, Cloud or Dedicated Servers, we can handle it all. Just drop us a line, and we’re here to help your site grow to the full extent of it’s potential. Don’t let a bad host be the reason your idea fails to meet your vision. All of our hosting plans include the following. All of our VPS Servers include the following. Due to the nature of Dedicated Servers not being a One Size Fits All Solution, we have chosen to Custom Build all our dedicated servers for our customers' need. Setup times may be longer than other providers but the service and performance you will gain are superior in all ways. 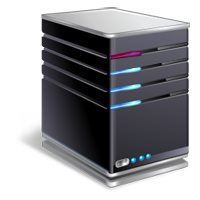 Contact Us now for your Custom Server Quote using the form we've provided. On Occasion, we will post here excess empty servers that we have available pre-built for various reasons. Check back Often for our inventory. 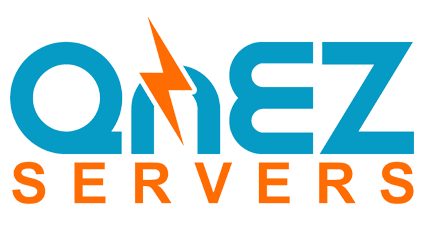 I’ve owned and run websites for the better part of two decades and the team at QNEZ is by far the most responsive and creative group I’ve ever worked with. They don’t deal in boilerplate solutions – when I have an issue or a need, they address it in a way that suits my specific purposes. Their response time is nothing short of amazing, and they have the knowledge and skills to administer projects of any size. It’s clear from suggestions they’ve made that they place a high priority on the success of their clients, whatever those clients’ individual definition of success may be. I couldn’t recommend [QnEZ] any stronger. An absolute dream to work with and [they] knows [their] stuff inside and out. I recently moved the IcePets owncloud server over to [their] servers and the performance is way better than it was on my main server. I just can’t wait until IcePets is big enough to actually host the entire solution over there. Our service comes with reputation. Here is just a small sampling of some of the sites we host.